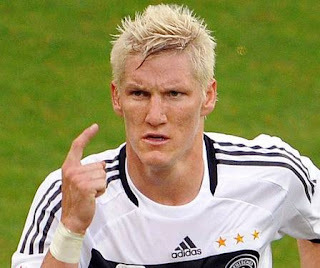 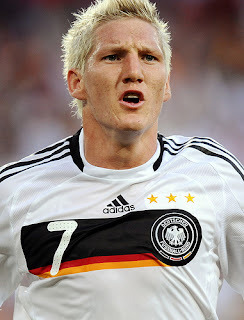 Bastian Schweinsteiger (b. 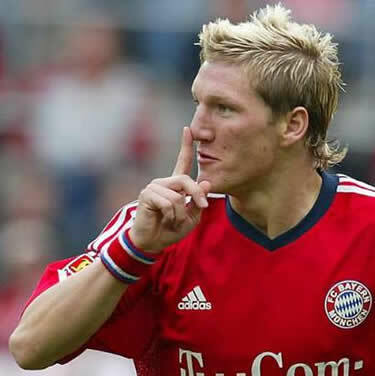 1 August 1984 in Kolbermoor, West Germany; height: 183 cm) is a German footballer who plays as a midfielder for Bayern Munich and the German national team. Schweinsteiger has won many trophies, including five Bundesliga titles, five German Cups and two League Cups.